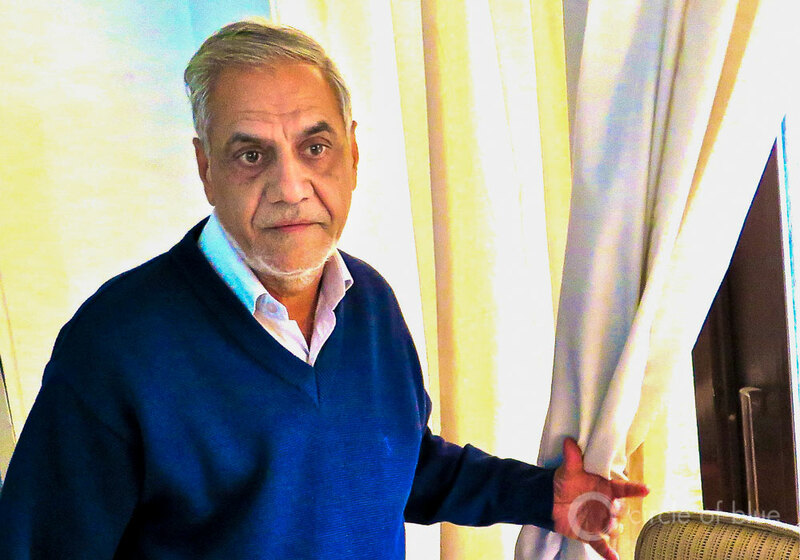 Mahesh Chander Mehta, acclaimed by his peers as the dean of India’s tiny environmental bar, practices law from an airy office on the fourth floor of a dimly lit building in south Delhi. Even late in the year, it is still warm enough in India’s capital to keep the windows open. On the street, taxis and natural gas-fueled tuk-tuks clamour for space in the square by the Opp Mool Chand Metro Station. A poster of the Taj Mahal drapes the wall of a tobacco shop across the street. The view is unobstructed by the smokestacks and huge chemical storage tanks that once populated the banks of the Yamuna River, a tributary of the river Ganga that is close by. The autorickshaws, the Taj Mahal, and the riverbanks cleared of dangerous industrial facilities have professional standing in MC Mehta’s office. They are wound into the legal work of an exceptional career that, among other successes, forced a fuel switch for India’s public transport vehicles from leaded gasoline to cleaner compressed natural gas. His 1985 case in the Supreme Court removed toxic industries from the Yamuna. Another case, finished in the 1990s, saved the Taj Mahal’s luminous white marble from acid rain. 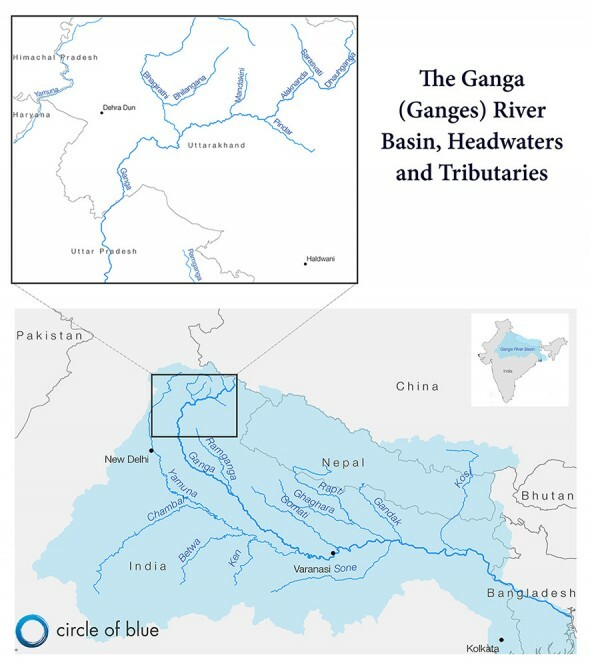 The Ganga (Ganges) River Basin, headwaters, and tributaries. Credit Kaye LaFond/Circle of Blue. In 1985, Mehta brought a suit in the Supreme Court to clean up the Ganga, the Mother River of India, and its tributaries. Despite a long series of court orders to close polluting factories and build wastewater treatment plants, too many directives were ignored by state and national authorities. University and government water quality measurements show that the river is more foul, dangerous, and dirty than ever. Reports by international organisations reach a similar conclusion. The Ganga, stretching 2,525 kilometres from the Himalayas in northern India to the Bay of Bengal in the east, is one of the planet’s most polluted rivers. The prime minister appointed a top lieutenant, Uma Bharti, as Minister for Water Resources and renamed the department the Ministry of Water Resources, River Development and Ganga Rejuvenation. In late September, the Modi government committed Rs 510 billion rupees ($US 8.1 billion) in the next five years to stop discharges of untreated sewage and wastewater from 118 of the 222 towns and cities along the river. In early December, in a second vital step, the Modi government indicated it was prepared to make permanent an indefinite halt in hydropower construction in Uttarakhand. The decision would safeguard water quality and water supply in the three fast-flowing Himalayan rivers that merge to form the Ganga. MC Mehta, the dean of India’s environmental bar, filed suit in India’s Supreme Court in 1985 to clean up the River Ganga. Thirty years later, the river is dirtier than ever, prompting the courts and Prime Minister Narendra Modi to attack the contamination with new investments and a different strategy. Credit Keith Schneider/Circle of Blue. In 2013, the NGT shut down the nation’s sand mines until they complied with sound mining practices and water quality statutes. 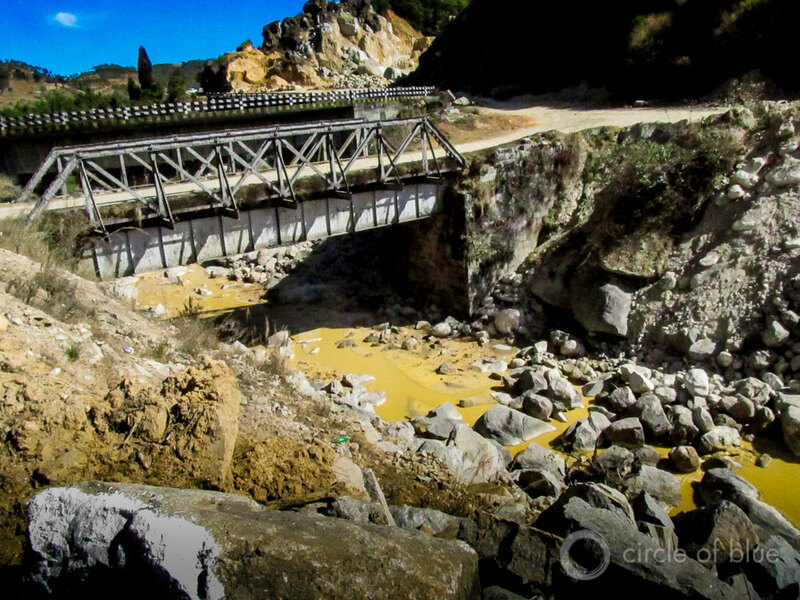 In 2014, the Tribunal shut down the $675 million coal mining sector in Meghalaya, because of rampant water pollution and mining practices lethal to young miners. It was the first time a state-level fossil fuel industry anywhere in the world had ever been shut for environmental safety reasons. In handing over a sizeable portion of the Ganga pollution case to NGT, the High Court said it looked to its colleagues to exert the same level of aggressive jurisprudence: to compel industries to stem the tide of chemical and biological pollutants into the Ganga, and to fine and jail executives who were slow to comply. In 1947, the year it became independent from Great Britain, India was a nation of 344 million residents. The Ganga and its tributaries drain parts of 11 Indian states. The five states along its main stem – Uttarakhand, Uttar Pradesh, Jharkhand, Bihar, and West Bengal – were home to 120 million people. Today the Ganga and its tributaries support 500 million people, or 40% of India’s 1.27 billion people. Ninety percent of the basin’s waters are used in agriculture, according to government reports. More than 50,000 big and small factories use the river for draining their wastes, much of it untreated. In his court appearances 30 years ago, MC Mehta argued that the river’s condition was not only a violation of India’s nascent modern water quality statute, it was unconstitutional. Article 21 in India’s 1949 constitution assured “the protection of life”, which the court interpreted as the “right to a healthy life”. *On September 9, 1985, industries located on the banks of river Ganga in urban areas were put on notice to stop discharging untreated effluents from their factories. *On September 22, 1987, 20 tanneries that were working on the banks of Ganga and discharging effluents into the river were shut. *On December 1, 1988, Ganga Basin municipalities were ordered to set up sewage treatment plants. *On April 8, 1992, the State Pollution Control Boards of three Ganga River states were ordered to identify the industries discharging effluents and to submit a report. *On July 23, 1993, a select group of plants were shut down. Others were warned that the same fate awaited them unless they took pollution-control measures. The river, though, got dirtier. One reason was corruption. An Auditor General report found numerous instances of what it called “unauthorized activities” and financial mismanagement including one state pollution control board member “parking” Rs 10 million “in his own account”. “We regret to say that the intervention and sustained efforts made by us over the past 30 years notwithstanding, no fruitful result has been achieved so far except the shutting down of some of the polluting units,” wrote three justices of the Supreme Court in the October 29, 2014, order transferring the Ganga case to the National Green Tribunal. India hasn’t ignored the river’s condition. It just has not been capable of summoning the collective national energy to clear the Ganga’s waters. Prime Minister Rajiv Gandhi tried in 1986, months after MC Mehta filed his pollution case, by forming the Ganga Action Plan. More than Rs 500 billion were spent over 14 years to build 83 sewage transport networks and treatment plants, according to government figures. Most weren’t large enough or sturdy enough to operate well. 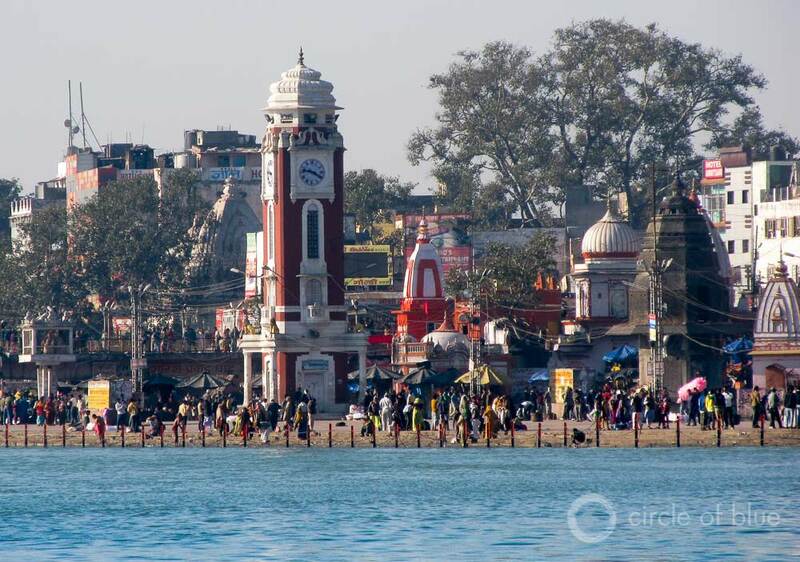 They were meant to treat under one billion liters (264 million gallons) of the estimated 8.25 billion liters (2 billion gallons) of wastewater that the Ganga’s towns poured into the river daily, according to Central Pollution Board reports. Newer Ganga cleanup campaigns – the Ganga River Basin Management Plan and the National Mission for Clean Ganga – have so far proved equally ineffective. Taken as a whole, though, the biggest obstacle for the Ganga cleanup is not the money, tools, and practices, though those are critically significant. Instead, it is whether India has the national spirit and the capacity to summon decades of focused investment and management to ensure that by mid-century Indians can swim, fish, and drink safely from the mother river. The Ganga’s condition is emblematic of the decades of resource exploitation – and insufficient water and energy infrastructure investment – that have left India’s cities and countryside in dismal condition. Over 80% of the nation’s rivers are badly polluted, according to national reports. The air in India’s cities, according to the World Health Organization, is among the dirtiest and most dangerous on the planet. Litter carpets roadsides and fields. 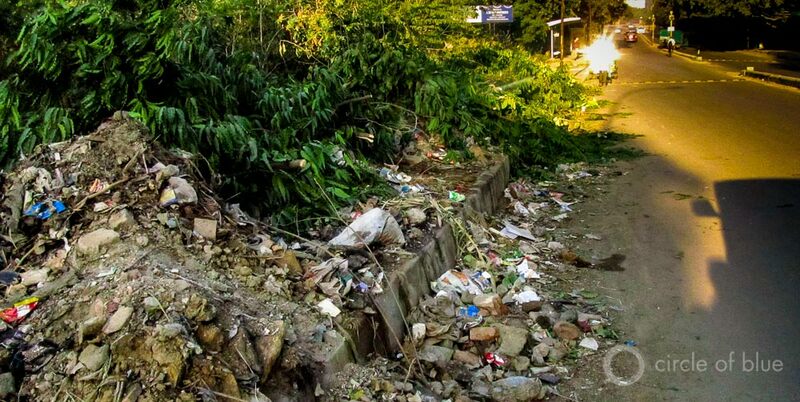 Piles of garbage stink up India’s grimy cities. Running water and electricity are not available for a third of the country’s 1.27 billion people. Open defecation is practiced by millions of men, women, and children who don’t have access to latrines or toilets. On the other hand, once clearances are issued, enforcement of the nation’s environment and health statutes is spotty at best, and more often does not exist at all. Plant managers that pour raw wastes into India’s water, or blacken the air, are generally left alone. Just about the only laws India’s resource authorities take seriously are those protecting wild animals. Truckers convicted of transporting an improperly chained or poorly fed elephant, for instance, typically face huge fines and long jail sentences. Though India has spent decades clawing at its landscape for coal, building power plants, installing big hydropower projects in the Himalaya, draining groundwater for endemic grain surpluses, building airports, and encouraging industries of every kind, the country’s development is sliding backwards. Economic growth has slipped to 5% a year, half of the annual rate from the first decade of the century. With four times as many people, India’s $US 2.1 trillion economy is little more than a tenth the size of the American economy. Electricity is in short supply and business-damaging brownouts and blackouts are daily, even hourly events in much of the country. It took five European nations decades and $50 billion to clean up the Rhine River. India and the 11 states in the Ganga drainage basin say they are prepared to invest in a national cleanup. The decisions and announcements of the last few months – the prime minister’s promise, the Environment Ministry’s hydropower decisions in Uttarakhand, the transfer of responsibilities to the National Green Tribunal – appear to be shifting the nation’s attention to a more rational strategy of building economic strength by securing a premier natural resource. Arguably the most important is the tribunal. Thirteen days before the High Court transferred the industrial portions of the Ganga case, the NGT was already at work making its presence felt along the Ganga. Acting on a petition filed by a citizen advocate and a public interest non-profit group, the tribunal fined Simbhaoli Sugar Mill and Distillery in Uttar Pradesh Rs 50 million rupees for repeatedly discharging pollutants into the Ganga, and for violations of water quality statutes. The tribunal also fined the Gopalji Dairy Rs 2.5 million for similar violations, which were damaging habitat for turtles and rare freshwater Ganga river dolphins. But Ritwick Dutta, a prominent environmental lawyer in New Delhi, said he did not expect the Modi government to meddle with the NGT. “He needs a strong court to do what is needed on the Ganga,” Dutta said. Prakash Javadekar, the former national spokesperson for the Bharatiya Janata Party, and the Minister of Environment, Forests, and Climate change, said as much in responding to questions in November from Parliament about the influence of the Tribunal. Javadekar said neither he nor the prime minister would change the NGT’s role or authority.